This is a 15 Cookie Basket attached to a Beautiful Big Balloon Bouquet. The cookie basket can be customized with any variety of cookies. We would be happy to make these Balloon Bouquets with more Cookies to serve a crowd, or use Muffins or Brownies or anything else you'd like. 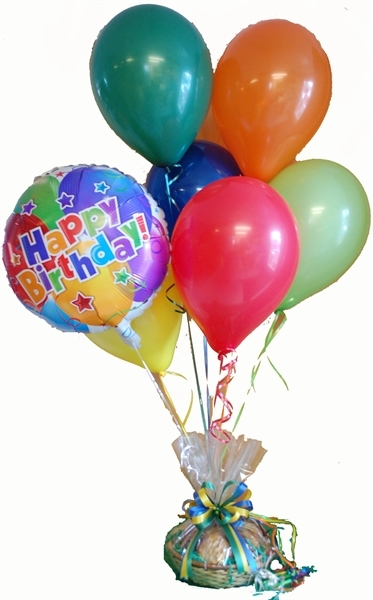 Balloon Bouquets can be made for any occasion with an appropriate "Special Mylar Balloon". They can be made at whatever price point you'd like, but have to be for Hand Delivery in our local area)...can't ship balloons ! Hand Delivery available in the Albany, NY area.